Ghana's only oil refinery, the Tema Oil Refinery, is shut after an explosion at a newly installed 5.8-million-euro crude oil heating unit, a senior union official said on Friday. The blast at the crude distillation unit, which caused no casualties, is the latest problem to hit the refinery, which has for decades performed below its capacity of 45,000 barrels per day. "It was a damper failure. It failed to open to allow heat to escape through the chimney and that led to the explosion," one source said. "The new furnace is now scrap," said a union leader who declined to be identified. The plant will restart after reconfiguration through a second furnace but output will drop to 30,000 barrels per day, the union leader said. The state-owned refinery has been dogged by underinvestment, lack of maintenance and debt, which has caused it to perform below capacity. The new government of President Nana Akufo-Addo said in its manifesto that it would expand the refinery. Zenith Energy, an international liquids and bulk terminaling company, said on Wednesday that it has signed an agreement with one of the largest companies in Mexico to market and develop existing logistics assets for oil storage and distribution in Mexico to support the growing demand for oil products. The agreement provides for the use of certain facilities in Mexico of CEMEX, S.A.B. de C.V., a global building materials company. Zenith has been awarded the rights to develop these sites for fuel and LPG storage and distribution. These terminals will receive fuel and LPG primarily from the Gulf Coast and Texas via rail but Zenith believes there are some marine facilities that could be available for international delivery by vessel, Jay Reynolds, chief commercial officer of Zenith, told OPIS. This is the first time Zenith is working in Mexico, but the Zenith management team has previous Mexican experience, he said. Zenith has established a company in Mexico with an on-the-ground representative and former terminal manager for Exxon Mobil in Mexico. CEMEX's facilities in Mexico include more than 90 storage and distribution locations, in both inland and coastal cities, most of them connected to the Mexican railroad network, many with unit train capability, and include both operational and dormant locations. The development of these sites will not interfere with CEMEX's normal business activities in Mexico. Zenith's preliminary plans and layouts include significant development at the terminals in Mexico, Reynolds said. The work will include building tanks together with associated infrastructure such as loading and unloading facilities. "We have had a number of initial conversations with potential customers which have been very positive and the next step is to fine tune our plans. It is worth noting that we are developing these assets because of their potential and the significant market demand," he said. "Our development time is likely to be significantly less than other competitors, primarily because we will not have to add rail tracks. Depending on the final plans, we could have a facility fully operational in 12-18 months. This is clearly dependent on permitting and customer requirements," Reynolds said. The capacity is flexibility and location dependent with some locations having capacity of up to 1 million barrels and unit train handling and other locations being smaller with manifest rail capabilities, he said. The total capacity will be driven by customer demand and market size, Reynolds said. If all locations are developed, Zenith could have several million barrels of storage in Mexico over the next couple of years. The pace and scale of development will necessarily depend on the evolution of related regulations and other external factors. 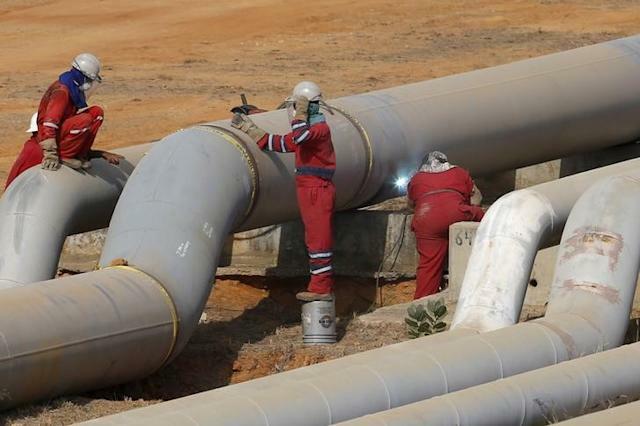 "Based on the advantaged locations in major metropolitan areas and the customer demand for reliable operating facilities in Mexico, we believe that this solution will be very attractive to the market, particularly those looking for alternatives to uncertain and expensive pipeline projects," said Reynolds. Jeffrey Armstrong, CEO of Zenith, said, "we are excited to announce this initiative at this important time in Mexico's ongoing energy reform. We see a growing number of promising opportunities to invest in the country's developing midstream sector, particularly with the ability to utilize existing assets in key distribution markets inside the country." With headquarters in Houston, Zenith Energy is an international liquids and bulk terminaling company that owns and operates over 15 million barrels of crude oil and petroleum products storage in Amsterdam, Ireland and Colombia. Zenith is pursuing opportunities to buy, build and operate terminals primarily in Latin America, Europe and Africa. The company is focused on the storage and distribution for petroleum, refined products, natural gas liquids and petrochemicals. The company also will acquire and operate logistics and distribution assets that support terminals, such as pipelines, truck racks and barges. In August 2014, Warburg Pincus, a leading global private equity firm focused on growth investing, led a line-of-equity commitment in Zenith of up to $600 million. Crude and residual fuel tonne/mile demand is projected to increase by about 0.7% on an annual basis from 2017-2021, claimed a new report. According to McQuilling Services’ 20th ‘2017-2021 Tanker Market Outlook’, this year, demand growth is expected to be 0.3% amid lower oil output from participants in the OPEC and non-OPEC production cut agreement and a pick-up in global inventory draws. Meanwhile, clean product tonne/mile demand is expected to see a marginal increase of 0.22% in 2017. On the basis of supply side risks, McQuilling forecast that 2017 will see a drop in rates for all tanker classes with VLCCs averaging around $27,000 per day and about $12,500 per day for MR2s on a triangulated basis. However, earnings in 2018 are expected to improve slightly across all tanker segments, given a decelerating supply outlook and increasing oil supply, the report said. MR earnings on a round-trip basis are expected to be mixed with TC2 TCEs averaging $8,400 per day this year, while the USG/Carib round trip voyage is estimate at $12,400 per day. TC14 earnings are forecast to be the lowest of the trades tracked at $4,300 per day; however, on the triangulated basis (TC2/TC14) owners will earn around $12,400/day in 2017, increasing to $14,200 per day by 2019. The relationship between timecharter rates and spot market earnings was strong in the analysis and formed the foundation for the timecharter forecasts, the consultancy explained. For VLCCs, one-year and three-year timecharter rates are expected to average $30,000 and $32,000 per day in 2017, respectively. McQuilling’s 2017 price forecast for the five-year old crude tanker sectors saw VLCC values averaging $59 mill, a 14% decrease from the 2016 average price of $68.8 mill and a 1.6% decrease from current levels. Modern Suezmax tankers are projected to demand $38 mill this year; however, by 2021 the values of these tankers were forecast to reach $51 mill amid a pickup in earnings. Panamax values are likely to fall to $20 mill in 2017, with further contraction expected to 2021. Clean tankers in this age group are expected to see lower prices relative to their 2016 averages. For LR2s, McQuilling forecast a 2017 average price of $30.5 mill, a 33% decrease from the average price recorded in 2016, while the LR1 sector is expected to decline by a more modest 20% to $25.9 mill. MR2s are likely to depreciate by 21.8% to $20.5 mill; however, a recovery to 2016 levels is expected to occur in the medium term. § Incorporated the use of ‘big data’ by using remotely sensed vessel position data to track real-time demand, fleet deployment and utilisation across the various tanker sectors. § Expanded the five-year forecast for freight rates and TCEs by one additional trade (USG/Carib) for MRs (38,000 tonne cargo), totalling 19. § Increased the capture and scrutiny of non-OECD country bilateral trade through continued collaboration with clients and other parties, as well as the use of industry datasets, enabling 95% plus coverage of global trade flows. § Developed bunker price forecasts on a regional basis to provide clients with the most accurate trade-specific TCE earnings. § Through the use of enhanced database techniques, data distillation processes for tanker supply and demand development has been streamlined, reducing manual interventions and data inconsistencies and thereby increasing data integrity. This 200-page report provides a five-year spot and TCE outlook for eight vessel classes across 19 benchmark tanker trades, plus two triangulated trades. Also included in the report is a robust five-year asset price outlook as well as a one and three-year timecharter forecast through 2021. Statistical correlations are interesting things. One of my favorite websites, and now a book, is Spurious Correlations. The site’s author looks at seemingly unrelated data sets that correlate in interesting ways. For example, there is a high degree of statistical correlation between the per capita consumption of chicken and total US crude imports. Or, my personal favorite, you can look at the correlation between the annual number of swimming pool drownings in the US and the number of films actor Nicholas Cage has appeared in. Unsurprisingly, there’s also a high degree of correlation between various regional and global crude oil crude benchmarks. And while correlation doesn’t equal causation, those relationships have changed in interesting ways over the past year. Historically, there was a strong correlation between the cash differentials for Light Louisiana Sweet crude and the Brent-WTI spread. Since restrictions around US crude exports have been lifted, those statistical relationships have just about vanished. Looking back to 2012, on average there was an 85% correlation between the differential between LLS and WTI and the Brent-WTI spread, meaning that for the most part when the Brent-WTI spread widened, the LLS-WTI spread also widened. This relationship made a lot of sense. At the time, WTI was landlocked in Cushing, Oklahoma, and LLS reflected the market for light sweet crude among the Gulf Coast refiners, which account for more than half of total US refining capacity. Gulf Coast refiners looking at a light sweet barrel had a few options: either buy LLS, or a related domestic grade, or import a similar barrel that would almost certainly be priced in relation to Brent crude, which was generally more reflective of supply and demand in the international crude market. At time, Brent was traded $15-$20/b above WTI, which was essentially limited to the US Midwest refining market. At the time, Cushing was oversupplied with domestic and Canadian crude, which had no way to reach refiners in the Gulf Coast. So it made a lot of sense for LLS to fetch a market price much closer to Brent than WTI. Refiners were looking to pay Brent-level prices for import crudes, why would domestic sellers offer LLS at $15 under that market? That’s how markets work. The correlation between LLS and Brent diverged somewhat in 2013 and 2015, as new pipeline projects came online, providing access for Gulf Coast refiners to more light sweet crude from West Texas and Cushing. The Seaway Pipeline reversal project, which converted crude line to carry oil from Cushing to Freeport, Texas, helped drive the WTI-Brent spread back under $10/b. In 2015, the correlation between the two averaged at 84%. Then, in December 2015, the US announced change to its crude export policy. With US crude now freely exportable, the correlation 2016 dropped to average just 1%. In 2016, the Brent-WTI spread averaged $1.35/b, compared to $4.67 in 2015 and $7.05/b in 2014. This is one logical outcome of the change to US export policy. If the WTI-Brent spread becomes too wide, then US producers will find international buyers for cheaper-WTI linked crude (like LLS). At the same time, with more than 1.5 million b/d of pipeline capacity from Cushing and West Texas to the Gulf Coast, there are plenty of light, sweet alternatives to LLS should the differential widen out again. This keeps essentially provides something of a ceiling on both LLS and the Brent-WTI spread. Correlation doesn’t equal causation, but it can shed some light on the relationships that make up these markets. The closely watched Dow Jones industrial average reached historic levels on Friday, breaching 20,000 points for the first time in a week when President Trump began to put his agenda in place. Shortly after the election, investors dubbed a surge in stock prices the “Trump rally,” pushing U.S. stocks to new heights in anticipation that the new president would work with the Republican-led Congress to lower taxes and pass more business-friendly policies. But just as the Dow appeared ready to breach the 20,000 threshold, there was a retreat. Then, this week, as Trump vowed to rewrite trade agreements and revive pipelines, the markets began to rev again. For the Dow, an index of 30 large publicly traded companies, topping the 20,000 level holds more symbolic than practical value. But Wall Street has been anticipating the rise could give investors the psychological boost to keep stock prices climbing even further. The broader Standard & Poor’s 500 and the tech-heavy Nasdaq have also been trading at record levels. The recent run-up in stock prices has added about $1 trillion in market value since the election to companies that make up the S&P 500. Stocks staged a remarkable rebound in 2016, starting the year with massive sell-offs as investors worried about China’s rocky economy and falling oil prices and then panicked when Britain voted to leave the European Union. Each sell-off was followed by a recovery that pushed stock prices back into positive territory. After sagging as much as 10 percent in 2016, the Dow jumped 13 percent for the year, more than half of the rise coming since the election. The S&P was up about 10 percent last year, while the Nasdaq grew about 9 percent. But, some market analysts say, stock prices may have already risen too far too fast. Investors are ignoring potential stumbling blocks that lie ahead for the U.S. economy, including that the Federal Reserve is beginning to raise interest rates — it bumped up a key lending rate last week, a move that traditionally has added costs for businesses. And it is unclear whether Trump will be able to implement all of his campaign promises, including lowering corporate taxes. The rise in stock prices has also coincided with a sell-off in the bond market, a traditional safe haven during economic turbulence. The interest rate on a 10-year government note has risen from about 1.7 percent before the election to about 2.4 percent recently as investors demand a bigger return in exchange for locking up their money for a long period. When the interest rate rises, the price of the bond falls. Oil prices fell 1 percent on Monday as signs of a strong recovery in U.S. drilling largely overshadowed news that OPEC and non-OPEC producers were on track to meet output reduction goals. Brent crude (LCOc1) settled down 26 cents, or 0.5 percent, at $55.23 a barrel. U.S. crude futures (CLc1) closed the session at $52.75 a barrel, down 0.9 percent, or 47 cents. Prices pared some losses after Iraq's oil minister said it was too early to say whether the deal needed to be extended and that he expected oil prices to rise to $60-$65 per barrel. The Senate Foreign Relations Committee approved Rex Tillerson’s nomination as secretary of state, clearing the way for the full Senate to confirm one of President Donald Trump’s most critical cabinet choices. The 11-10 vote fell along party lines with Democrats in dissent. It came hours after Senator Marco Rubio, who had been the lone Republican withholding his support, said he would back the nomination of the former Exxon Mobil Corp. chief executive officer as the nation’s top diplomat despite concerns over his ties to Russian President Vladimir Putin and his refusal in his nomination hearing to condemn human rights abuses in Russia and the Philippines. Tillerson’s nomination raised fears from Democrats and Republicans alike for his connections to Putin -- who awarded him his country’s Order of Friendship in 2013 -- and whether he would be able to put U.S. interests first after a 41-year career spent at one of the world’s biggest companies with a financial stake in countries across the globe. The committee sent Tillerson’s nomination to the full Senate, where united support from majority Republicans all but ensures final approval. Trump has complained about the slow pace of confirmation for his nominees, with only Defense Secretary James Mattis and Homeland Security Secretary John Kelly approved so far. The Senate was expected to confirm Representative Mike Pompeo as head of the Central Intelligence Agency later on Monday. Before the vote on Monday, Democrats also said they were concerned about Tillerson’s statement that he would recuse himself from matters related to Exxon during his first year as secretary and rely on guidance from the State Department’s ethics office after that. “In the end, I just had too many concerns and questions about the kind of leadership he would provide at the state department to feel comfortable voting for him,” said Senator Jeanne Shaheen, a New Hampshire Democrat. Oil prices fell to their lowest level in a week on Wednesday on expectations U.S. producers would boost output, while OPEC signaled a drop in the global oil supply surplus this year as the producer group's output fell from a record high. U.S. West Texas Intermediate (WTI) crude oil futures settled down $1.40, or 2.7 percent, at $51.08 per barrel. Brent crude futures, the international benchmark for oil prices, were down $1.51, or 2.7 percent, at $53.96 a barrel at 2:34 p.m. ET (1734 GMT). U.S. shale production is set to snap a three-month decline in February, the U.S. Energy Information Administration said on Tuesday, as energy firms boost drilling activity with crude prices hovering near 18-month highs. February production will edge up 40,750 barrels per day (bpd) to 4.748 million bpd, the EIA said. In January, it was expected to drop by 5,900 bpd. "The petroleum markets have turned lower again in Wednesday trade amid talk that higher oil prices will translate into additional U.S. shale-oil production as a counter-balance to OPEC efforts to trim supply and reduce excess inventories," Tim Evans, Citi Futures' energy futures specialist, said in a note. The Organization of the Petroleum Exporting Countries signaled a falling oil supply surplus in 2017 on Wednesday as the exporter group's output slips from a record high ahead of a deal to cut supply and outside producers show positive initial signs of complying with the accord. Under the agreement, OPEC, Russia and other non-OPEC producers have pledged to cut oil output by nearly 1.8 million bpd, initially for six months, to bring supplies back in line with consumption. However, OPEC, in a monthly report, also pointed to the possibly of a rebound in U.S. output, as higher oil prices following supply cuts by other producers support increased shale drilling. OPEC, excluding Indonesia, pumped 33.085 million barrels per day (bpd) last month, according to figures OPEC collects from secondary sources, down 221,000 bpd from November. OPEC cut its forecast of supply in 2017 from non-member countries following pledges by Russia and other non-members to join OPEC in limiting output. OPEC now expects non-OPEC supply to rise by 120,000 bpd this year, down from growth of 300,000 bpd last month, despite an upwardly revised forecast of U.S. supply. A committee responsible for monitoring compliance with the agreement meets in Vienna on Jan. 21-22. The output cuts agreed by OPEC and others are likely to come largely from field and refinery maintenance, BMI Research said in a note. It said oil producers are expected to use lower volumes needed for domestic power generation in a bid to maintain export volumes. "Sticking to output targets is important but export volumes from the participating countries are a much better indicator of how the cuts will affect the market," it said. "Participating members are keen not to sacrifice vital export revenue so are trying to find ways to limit domestic crude usage in order to prioritize filling their contracts to foreign refiners." Analysts forecast U.S. crude stocks fell by about 1 million barrels in the week ended Jan. 13. The American Petroleum Institute (API) will release its inventory report on Wednesday at 4:30 p.m. EST. Exxon Mobil is buying 275,000 acres in the booming Permian Basin oil fields from the Bass family for $5.6 billion in stock and $1 billion in contingent cash payouts. The Irving-based oil company said Tuesday that the purchase covers 3.4 billion barrels of oil equivalent, nearly doubling its existing resources in the Permian to 6 billion barrels. XTO Energy in Fort Worth, which was sold to the energy giant in 2010, will manage the project. Frank McCreight, a representative of Bass family’s energy holdings, could not be reached for comment. Other Bass representatives also declined to comment when contacted by the Star-Telegram. “The Bass family does not generally speak about business dealings,” one spokesman said. 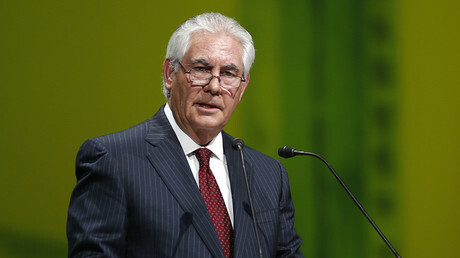 Forbes reported that Sid Bass directly negotiated the sale of the acreage with Rex Tillerson, Exxon Mobil’s former chief executive officer who has been nominated by President-elect Donald Trump to become the next secretary of state. The deal marks a milestone for the Bass family, which has leveraged its wealth and business acumen over the years to advance downtown development and cultural institutions in Fort Worth. The family fortune started in the oilfields. Sid Richardson, a Fort Worth bachelor who struck it rich in West Texas in the 1920s, went broke in the Great Depression, then remade his fortune in the late 1930s and the 1940s. When he died in 1959, he devoted $100 million to establish a foundation, and left the rest to his nephew, Perry Bass, and Bass’ four sons, Sid, Ed, Robert and Lee. The Bass brothers parlayed that inheritance into bigger fortunes through a series of savvy investments, including a big stake in the Walt Disney Co. And they became leaders in modernizing downtown Fort Worth, first with the construction of the Worthington Hotel and the City Center towers, then with Sundance Square and the Bass Performance Hall. Exxon Mobil has 10 rigs working in the Permian and plans to add 15 or more after the acquisition closes in the first quarter of 2017, said SuAnn Guthrie, a spokeswoman for Exxon Mobil. She said a large majority of the acreage is expected to have attractive returns at $40 a barrel. It is the seventh transaction in the Permian Basin by Exxon Mobil in the last three years and its largest since the company bought XTO in 2010, she said. The acquired companies include BOPCO, and some of the Bass employees will be offered opportunities at XTO, she said. Guthrie didn’t have any estimates on future hiring, since the acreage is held by current production not by continuous drilling obligations. Through the acquired companies, BOPCO controls about 275,000 acres of leasehold with production of more than 18,000 net oil equivalent barrels per day. This includes about 250,000 acres of leasehold in the Permian Basin, the bulk of it in contiguous, held-by-production units in the New Mexico Delaware Basin. The deal is the latest in a string of large acquisitions in the Permian Basin. On Monday, Noble Energy announced that it was paying $2.7 billion in stock and cash for Clayton Williams Energy in West Texas. Exploration companies, including the major oil companies that once ignored it, have been rushing to the Permian in recent years because of its rich deposits and the ability to make money at lower oil prices. “When you’ve got a company like Exxon Mobil that has the resources to develop plays all over the world and they elected [to focus on] the Permian, that tells you a lot about its resurgence as a globally significant production region,” he said. David Martineau, former executive at Pitts Oil Co. in Dallas, said the Permian is hot not only because of its overall reserves of 3.4 billion barrels, but because it has multiple zones that producers are able to tap using advanced hydraulic fracturing techniques, or fracking. Martineau, the former chairman of the Texas Independent Producers and Royalty Owners Association, said the Exxon Mobil purchase was all the talk Tuesday at a luncheon of oil industry geologists in Dallas. “It caught people by surprise. Nobody thought the Basses would be selling,” Martineau said. People at the luncheon were joking that the Basses would “take the money and quadruple the size of Blue Bell Ice Cream,” a reference to Sid Bass’ $125 million investment in the ice cream maker in 2015 after a listeria outbreak. The Bass family previously sold other assets in West Texas, including the 2005 sale of the Sid Richardson Energy Services Co. to Southern Union Co. for $1.6 billion. In the deal, Southern Union got more than 4,600 miles of gas pipelines and 10 processing and treatment plants that served the system that delivers gas to and from 16 counties in the Permian. Perry Bass’s four sons all maintain their own investment concerns and routinely are listed on the Forbes list of the 400 richest people in America. In 2016, Forbes listed Ed, Sid and Lee Bass with net worth of $1.8 billion each, while Robert Bass’ net worth was estimated at $2.8 billion. Sid Bass, 74, formed a formidable partnership with the late investment guru Richard Rainwater, who convinced the family to invest successfully in a number of companies, including a large stake Disney. Ed Bass, 71, is widely known for his work, along with his brothers, helping to rebuild downtown Fort Worth, including the construction of the Nancy Lee and Perry R. Bass Performance Hall in honor of their parents. Robert Bass, 68, broke away from his siblings to run his own private equity firm, Oak Hill Capital Partners, which is involved in a number of projects including development of a supersonic transport plane. He and his wife, Anne, also are known for their work in Fort Worth. Lee Bass, 60, and his wife, Ramona, are major benefactors of the Fort Worth Zoo. In 2014, they pledged $30 million to commemorate 30 years of service to the Fort Worth Zoo and its programs. A worker at a drilling rig in the Permian Basin last year. Picture: Spencer Platt/ Getty Images. The past week has provided a glimpse into a future of seesawing tensions in the oil market, as OPEC’s attempt to regain control of the price is offset by the impact of higher prices on US shale production. Last year, of course, OPEC and some key non-OPEC producers led by Russia announced plans to reduce their production by 1.8 million barrels a day in the first six months of this year in an attempt to drive up a price that had been smashed by the 2014 decision to flood the market in an attempt to undermine the economics of US shale. The history of similar agreements was one of significant noncompliance. While the production cutbacks have only just started it looks, however, as though this time the key producers are delivering on their commitments. Indeed some are over-delivering. Saudi Arabia’s production has fallen to two-year lows and the reduction is running ahead of the 486,000 barrels a day it said it would cut. Kuwait, Iraq, Algeria and the UAE have also reduced their output. After the failed attempt to increase their market share and drive US producers from the market rebounded — US shale production fell, but only modestly, while the plunge in the oil price savaged the finances of the oil producers — the stated goal of the OPEC pact is a relatively modest one. The six months of lower production (which could be extended) is designed to reduce the global glut of oil inventories overhanging the market. At this very early stage there is no sign that is happening. US oil inventories rose in the first weeks of this month. More pertinently, US shale production has risen since the agreements and the rig count is rising rapidly, with more than 200 more rigs back in operation relative to the low point in the middle of last year. Saudi Oil Minister Khalid al-Fali after the opening of the Atlantic Council Global Energy Forum in Abu Dhabi earlier in this month. Picture: AP. In June last year US shale production had fallen about 500,000 a day from the levels that provoked OPEC’s market share strategy to about 8.5 million barrels a day. It’s now back at about 9 million barrels a day. The production cuts have pushed the oil price up to around $US55 a barrel, a level at which the more productive shale basins in the US can now generate meaningfully positive cash flows after dramatically lowering their operating costs in response to the plummeting prices. Some producers in the liquids-rich basis can now produce profitably at prices around $US40 a barrel, with Shell saying recently that some of its wells are profitable below that level. With thousands of drilled-but-not-completed wells that could be brought into production quickly and relatively cheaply, the US shale sector could very quickly boost its output materially in response to the higher prices. Overnight ExxonMobil announced it will pay $US5.6 billion to the Bass family, with the potential for a further $1bn, to acquire the billionaires’ interests in the Permian Basin in west Texas, regarded (with the Eagle Ford region) as one of the best shale acreage in the US. Exxon said the deal — its first big play in shale since the $US30bn-plus 2009 acquisition of XTO Energy marked the oil industry heavyweight’s entry to the sector — would add more than 3.4 billion barrels of oil equivalent to its resources, of which 75 per cent would be liquids. It plans to double the level of drilling activity on the acreage. The acquisition is an obvious vote of confidence in the prospects for the US shale sector and the Permian, where Exxon is already a major player, in particular. BHP Billiton, of course, has significant holdings in the Permian and Eagle Ford. The Saudis have expressed a view that the recovery in US shale volumes will be more modest and slower than some are forecasting, with their oil minister, Khalid al-Falih, saying at Davos this week that the combination of the depletion of the more prolific reservoirs and rising costs as the contracts that were squeezed during the downturn demand higher rates meant the US producers would need higher prices if there were to be a big boost to US production. OPEC has misjudged the resilience, flexibility and capacity to drive productivity gains of US shale in the very recent past but it is probably the case that, outside of the Permian and Eagle Ford, much of the US sector probably needs a price of around $US60 a barrel to reignite large-scale activity. The outlook for global growth may impact the rate at which OPEC’s production cutbacks impact global inventory levels and determine whether the current agreement has to be extended for a further six months. That outlook is clouded, with the optimists hoping that the Trump administration can turbocharge US growth, with spill-over effects elsewhere, and the pessimists seeing the potential for rising protectionism and growth-depleting trade wars. What the past two years have demonstrated is that US shale has become the sector’s swing producer, and its price “capper”, with its ability to switch on and off volumes quite rapidly in response to price movements. The experience of OPEC’s less-than-successful market share war probably points to a more volatile oil price but one that trades within a narrower range. OPEC and its allies will work to keep a reasonable floor under the price — around $US50 a barrel, perhaps — while the threat of the US production effectively imposes a ceiling of just under $US60 a barrel until the inventory glut is worked through, and the impacts of the massive cuts to exploration and the development of new oil reserves that have occurred since 2014 emerge. Crude oil production in the Asia-Pacific is falling at a unique rate, according to a report from Wood Mackenzie, with China accounting for about half of the decline, Wood Mac’s Asia-Pacific upstream research director Angus Roger said. In 2016, the region pumped around 7.5 million barrels daily but this is about to drop to less than 6.5 million bpd by 2020, Roger warned, noting that the region’s output has been falling by about 7 percent annually since the price crash of 2014. The analyst added that the bulk of oil production in the Asia-Pacific will continue coming from large fields in China, Malaysia, and Indonesia, but these fields are already mature, which is affecting production costs and lifting breakeven points. The report’s findings are worrying for China, which recently reported that its dependency on imported crude had deepened, reaching 64.4 percent of domestic demand in 2016. The reason for this dependency was, of course, the lower oil price, but also the fact of its superfields’ maturing, which made their output uncompetitive. At the same time, demand is set to grow, and not just in China but also in India, which is increasingly being viewed as the new economic powerhouse of the world. Secretive biotech company has been working on a device that could save millions of lives and transform the medical market in 2017. While China has to deal with a demand projection of 12 million bpd, according to state oil giant CNPC, and mature superfields, India is on the hunt for new oil reserves in an attempt to not just ensure long-term supply of the fuel but also to rein in its own dependency on oil imports. Last year, several Indian oil companies invested over US$3 billion in the purchase of stakes in Russian oil fields, including the giant Vankor field, the country’s second-largest. Recently, Bloomberg reported that India’s largest refiner, Indian Oil Corp., is looking for asset acquisition opportunities around the globe, with a focus on the Middle East and Africa, in a bid to make sure that at least 1/10 of the crude it processes comes from fields it owns completely or partially. After a week with very slow activity for VLCC’s, particularly in the MEG and W Africa, activity resumed. This may, however, be temporary as tonnage remained in abundance and volumes were expected to diminish, therefore pressure was expected to remain on earnings. Last week, the Suezmax market saw an injection of activity after a quieter holiday season. In W Africa, the second decade saw sustained cargo volumes with rates peaking at around WS90 offering reasonable returns of about $35,000 per day. This was combined with decent enquiry in both the Med and the N Sea that resulted in a clear out of the backlog of tonnage that had been building up. Owners overall sentiment had seemingly not been dampened by the previous inactivity. The cargo volume has now slowed and even though owners were still showing signs of bullishness, the forward position lists are growing. A steady week lies ahead although W Africa business could be described as date sensitive, Fearnleys said. Aframax Baltic and N Sea rates declined last week. However, they could easily bounce back this week as more cold weather is expected and there was some talk of Ice Class 1C not being sufficient to load in strategic Baltic ports. More rough weather is also expected, adding some uncertainty to the rate levels. Spot N Sea ships were also considering ballasting to a firmer Med market offering a valid alternative to a somewhat slow cross N Sea market today. This week has been exceptionally busy in the Med and B Sea. Terrible weather in the area has caused significant delays in both Turkish straits and key ports, and this combined with a heavy third decade CPC programme has caused rates to jump WS70 points in just a couple of days. There are some cargoes still left to fix, but as we have started seeing ballasters coming in from other areas, we expect this market to cool off going into next week, Fearnleys concluded. In other chartering news, brokers reported that the 2014-built VLCC ‘Xin Lian Yang’had been fixed to Socar for 12 months at $30,000 per day. Trafigura was also reported to have taken the 2011-built Aframax ‘Stealth Skyros’ for six to nine months at $17,500 per day. The 2005-built LR1 ‘Hamburg Star’ was said to have been fixed to Deutsche Shell for three to six months at $13,750 per day. In the MR segment, the 2016-built ‘Miss Benedetta’ was thought fixed to Stena Weco for six months at $12,750 and MT Maritime was said to have taken the 2017-built ‘Pyxis Lamda’ for 12 months at $13,000 per day. Among the recent newbuilding deliveries was the LR2 ‘Navig8 Gauntlet’ delivered by Guangzhou Shipyard International Co (GSI) to Navig8 Product Tankers. She is the sixth of eight vessels contracted at GSI by Navig8 and is also the sixth vessel to be delivered under the sale and leaseback agreements agreed with CSSC (Hong Kong) Shipping Co (CSSC). ‘Navig8 Gauntlet’ will be operated by Navig8 Group's Alpha8 commercial pool. Navig8 Chemical Tankers has taken delivery of the ‘Navig8 Saiph’, a 25,000 dwt stainless steel chemical tanker, from Kitanihon Shipbuilding. She is the fifth of six vessels contracted at Kitanihon to be delivered to the company and is the first of two vessels to be part financed under the secured loan facility with UniCredit Bank. ‘Navig8 Saiph’ will be operated in Navig8 Group's Stainless8 commercial pool. Stena Bulk took delivery of the ninth out of 13 IMOIIMAX MRs. She was named ‘Stena Immaculate’ at GSI on 10th January from where the vessel will be delivered within the next few days. On her maiden voyage, with a cargo including vegetable oils, she will sail from Papua New Guinea to Europe. Capital Ship Management Corp has taken delivery of the newbuilding 'Aristaios' from Daehan Shipbuilding (DHSC). She is a 112,800 dwt, Ice Class 1C LR2 and is one of two new sister ships with an eco-friendly design to be delivered in January, 2017. In the newbuilding sector,John Fredriksen’s Ship Finance International has extended a series of Tier II LR2s ordered at Daehan Shipbuilding by ordering another two, plus two options for a price believed to be in the region of $44.5 mill each. The two firm vessels are due for delivery in the first quarter of 2018 and will be the third and fourth vessels in the series. Navig8 was also said to have ordered four, plus two options for two each, Aframaxes at New Times for 2018 delivery for a price said to be $42 mill each. Elsewhere, Hyundai Mipo Dockyard has won an order for an MR from GSCaltex subsidiary Sangji Shipping, due for delivery in December, 2018. Broking sources reported that HMD had also won orders from Pleiades for two, option two MRs for $33.5 mill each and due for delivery in 2018, while Asahi Tankers was said to have contracted an MR at Minaminippon for 2019 delivery. Turning to the S&P market, Andromeda was reported to have purchased the 1999-built Suezmax ‘Sifnos’ for $12.3 mill. 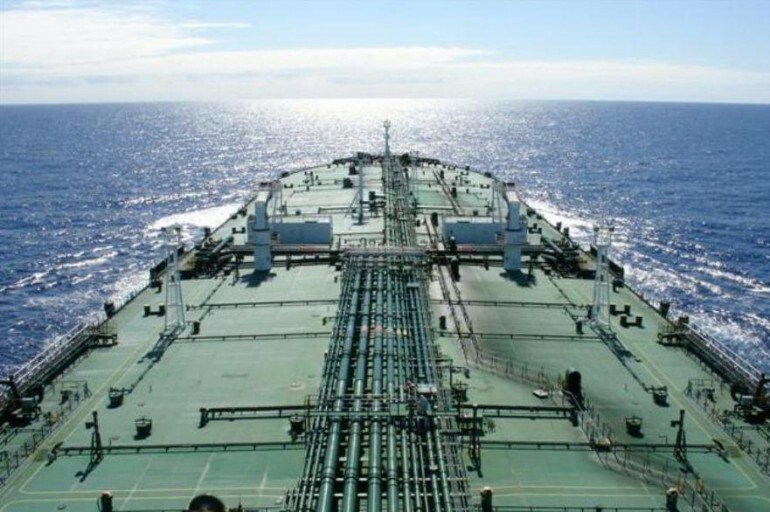 Reported leaving the fleet were the 1993-built VLCC ‘Varada Blessing’ thought sold for $299 per ldt on the basis of ‘as is’ Hong Kong and the 1985-built chemical tanker ‘Pacific Stream’ sold to green Indian recyclers for $520 per ldt. She is believed fitted with around 1,000 tonnes of stainless steel, hence the high price paid. Former ExxonMobil CEO Rex Tillerson, the president-elect's pick for secretary of state, faced numerous questions about his attitudes and past ties to Russia during his nomination hearing. He was also grilled on environmental issues and lobbying for big oil. Tillerson was asked by Senator John Barrasso (R, Wyoming) about Israel following the Obama administration’s decision to abstain on a recent vote at the UN on a resolution condemning Israel’s settlement expansion. “Israel has, is and remains our most important ally and partner in the region,” said Tillerson. “The UN resolution is not helpful. I found the Secretary speech quite troubling, and undermining to the government of Israel." Tillerson said with the president-elect they will recommit the US’ obligations to Israel. Senator Johnny Isakson (R, Georgia) asked what the US should do about re-engaging in the Middle East after negotiations were already underway between Syria, Turkey and Russia. Tillerson said the US had to protect the “innocent people on the ground, and secure their protection, and to defeat ISIS." Senator Edward Markey (D, Massachusetts) asked Secretary of State nominee about Exxon’s support of climate denier policy groups during his time of leadership, and silencing groups critical of Exxon, what assurances can you give the American people who will follow the agreement negotiated by the Obama administration on the climate change agreement? Senator Tim Kaine (D, Virginia) asked Tillerson about investigator reports that exposed Exxon had prior knowledge about climate change while pursuing a policy of fossil fuel extraction. The company also took public positions on downplaying climate change, and financed climate deniers. “I am no longer able to speak on the company’s behalf,” said Tillerson. “Do you lack the knowledge to answer my question or are you refusing to answer my question?” asked Kaine. Senator Rand Paul (R, Kentucky cited reports of corruption with USAID with leaders in Egypt and Equatorial Guinea siphoning off funds for personal gain and using the funds to create trade with the US. He cited Egypt buying tear gas from the US and using it on its citizens during the Arab Spring revolution. Senator Tom Udall, (D, New Mexico) said Exxon had done business in countries outrightly hostile towards the US, mentioning Exxon interests in Iran, Russian and its large contributions to Washington lobbyists. “Would you allow Exxon to lobby the State Department?” asked Udall.“I would recuse myself from those issues,” said Tillerson. Senator Jeanne Shaheen (D, New Hampshire) asked Tillerson about empowering women and whether he would continue State Department initiatives.Tillerson said will continue initiatives that support women’s empowerment. He wouldn’t say if he would continue to support the $500,000,000 spent USAID funding for family planning. “Our value systems are starkly different but I know the Russian people, there is scope to define a different relationship around the conflict we have today. Dialogue is critical," Tillerson said at times Russia will be a partner and at time an adversary. Senator Ron Johnson (R, Wisconsin) asked Tillerson to explain his comments that Russia is predictable and they don’t think like we do. Senator Menendez accused Exxon for becoming the in-house lobbyist for Russia over Crimea and opposing sanctions. He asked Tillerson his opinion on sanctions whether he was for them or against them. “I would not want to rely solely on what has been reported on the public realm before making that conclusion,” said Tillerson. Senator Marco Rubio (R, Florida) asked Tillerson if Putin was a war criminal because of the bombings in Aleppo, and Chechen.“Those are very serious charges made. I would want much more information before reaching a conclusion,” said Tillerson. Rubio asked about the alleged killings of dissidents by the Russian government. Tillerson said again he would need more information. He needed facts, and was not willing to make conclusions. Tillerson said he would have put Eastern assets on the border, announce the US was going to provide intelligence and air support. “In carrying out the State Department’s diplomacy we need a strong deterrent in our hand…it is useful to have a stick in your hand, whether you use it or not it is useful to have,” said Tillerson in response to Senator Cardin asking about sanctions against Russia. Tillerson told the Senate Foreign Relations Committee that he would help usher in a new era of US leadership on the global stage as America's top diplomat. "China has emerged as an economic power in global trade, and our interactions have been both friendly and adversarial," he said in remarks prepared for his hearing. "While Russia seeks respect and relevance on the global stage, its recent activities have disregarded American interests. Radical Islam is not a new ideology, but it is hateful, deadly, and an illegitimate expression of the Islamic faith. Adversaries like Iran and North Korea pose grave threats to the world because of their refusal to conform to international norms." Tillerson said the US needs an "open and frank dialogue" with Russia, the most urgent step is in "thwarting radical Islam" by "defeating ISIS." " Russia today poses a danger, but it is not unpredictable in advancing its own interests. It has invaded Ukraine, including the taking of Crimea, and supported Syrian forces that brutally violate the laws of war. Our NATO allies are right to be alarmed at a resurgent Russia. " Tillerson said the US should also acknowlege the realities about China. It's island-bulding in the South China Seas, and illegal taking of disputed areas "without regard for international norms." He said the country's trade practice have not always followed global agreements. "We have to deal with what we see, not with what we hope." Tillerson told the Foreign Relations committee. Tillerson has spent his entire working life at the big oil multinational corporation, ExxonMobil. He cut ties to Exxon earlier this month to try and stave off conflicts of interest, but his history with the corporation is likely to be a focus of the hearing today. Tillerson has never held a position in government but as an oil executive has extensive experience dealing with foreign countries having worked for Exxon since 1975. His relationship with Russian President Vladimir Putin is likely to be of interest to the committee. Democrats have pushed for the release of his tax records beyond the financial disclosure form he has already filed with the Senate committee. Outside Tillerson’s hearing, protesters rallied, with signs "InvestigateExxon' and ‘ExxonKnew’, some dressed as T-Rex, a dinosaur, called "Rexxon," a spoof reference to Exxon's CEO.